So, what's the difference between platinum and 18ct white gold, other than the name and the price? What are the differences that matter to you and why should you care? In this article, we go through the important differences so that you are more informed about which precious metal is best for you when it comes to your jewellery. Gold is naturally yellow in colour. When gold is mixed with other metals (alloys) it creates different shades. A copper rich alloy creates rose gold, whereas white gold is alloyed with metals like silver, palladium and nickel. Even when mixed with white alloys, 18ct white gold still has a slightly warmish hue to it and so it is treated and plated with a rhodium finish. Rhodium is part of the platinum family and the rhodium finish gives the white gold a bright white, lustrous finish almost exactly like platinum itself. So, two brand new, unworn rings, one platinum and one 18ct white gold would look very similar, indeed, many people would find it difficult to choose between them. However, once we take into account wear and tear and the metals coming into contact with chemicals and getting normal day to day fine surface scratches, the rhodium can wear away slightly, leaving the metal looking slightly warmer than the cool, bright lustre of platinum. The solution is to have your 18ct white gold jewellery cleaned, polished and re-rhodium plated every 12-18 months or so, dependant upon wear and tear. White gold is a softer metal than platinum and jewellery comprised of it loses little pieces of metal every time it is scratched or bumped, causing the metal and settings holding the gemstones to wear away. Platinum is a dense and heavier metal. It is extremely robust as a precious metal and therefore suited to everyday wear and for the setting of precious gems (it is not indestructible though and is still a precious metal!). The price and density of platinum might however, be an issue when it comes to crafting a solid bangle or large earrings for example. Having your ear lobes weighted down by a heavy metal like platinum might not be too attractive and the cost of a wide, solid bangle might be prohibitive. 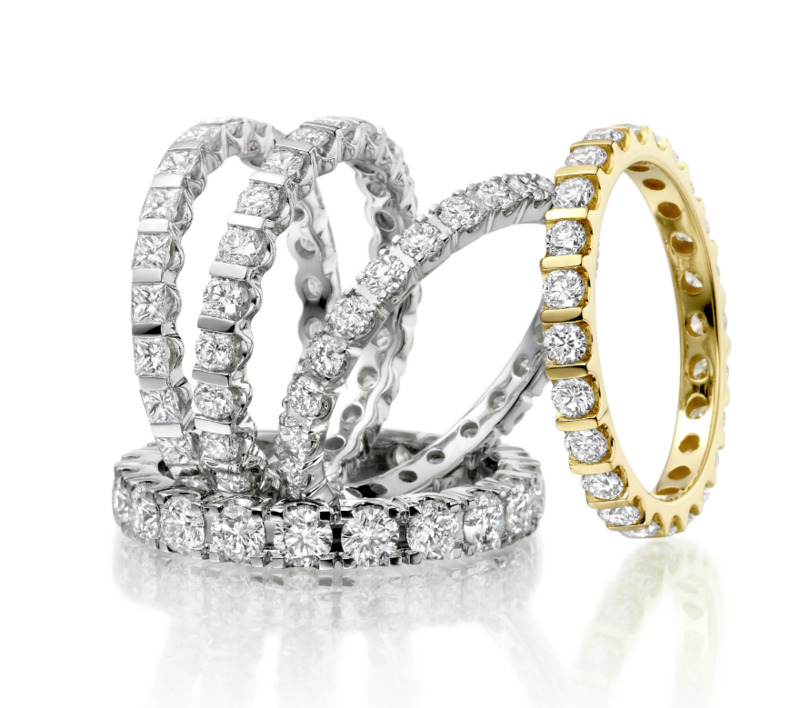 White gold is often used in engagement jewellery however it does have its setbacks. White gold is also known to contain other metals, which may trigger an allergic reaction. Platinum is pure and known to be hypoallergenic and thus more suited for people prone to skin conditions such as eczema. For people who have experienced problems with earrings in gold, platinum is often a better and more comfortable allternative, causing less irritation due to its purity. Platinum is a much rarer precious metal than gold and is also much denser. This density helps give the platinum its strength and this in turn makes it a tough material to fashion into jewellery. Its rarity, density and strength combine to make it a more expensive metal than gold. Are you on a budget and will your budget stretch to platinum? What activities or hobbies do you do regularly that might affect your jewellery? Would you be happy having your 18ct white gold re-rhodium plated every year or two? Have you got a sensitivity to certain metals and alloys? Have you reacted to jewellery before and if so, what metal was it made in?